Signs of summer have been showing up early on the islands lately. The late afternoon billowy clouds have been rolling in on the horizon causing afternoon showers and gorgeous sunsets. I finally made it back to Bowman’s Beach the other evening to watch the sky show at sunset and to see what types of shells have been washing upon that shore. I mostly found the common bivalves, but I was happy enough with collecting a WORM in a BUTTERCUP topped with an OLIVE and a pinch of NUTMEG. Summer might be right around the corner, but the animals on the island know it’s still Spring. It’s been so much fun watching the wildlife in the last few weeks now that the island isn’t as busy. My friend Diane has been watching a family of NIGHT HERONS nest in her back yard so I had to go pay them a visit. Oh My! There are three young chicks in the nest with the Mamma. So sweet! If you haven’t heard, there have been a few wild COYOTES that are now on Sanibel and Captiva. How did they get here? Dunno… but I did get to see one resting quietly under a fence on Captiva. Last night by the Sanibel Pier, I couldn’t peel myself away from watching this awesome OSPREY catch and feed on a nice size POMPANO fish. Clark and I watched him eat this fish dinner for maybe 20 minutes all while his family screeched and yelled at him to bring fish dinner back to the nest only 20 yards away. As we started to walk away from the OSPREY show, a Mother DOLPHIN and her baby splashed out of the water next to the pier then a MANATEE swam by. Magical. Since the wildlife was the life of the party last night, the only shell I collected to bring home was this BABY’S EAR. That one shell was well worth an evening’s walk on the beach to witness more wild wonders of life on Sanibel. 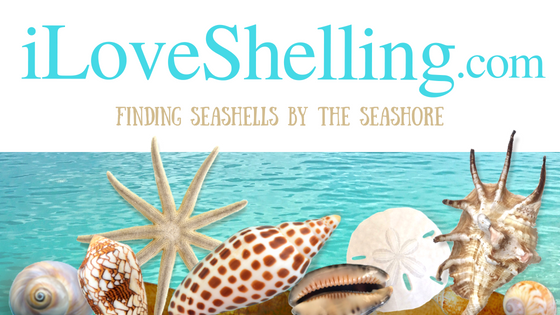 We are so excited to arrive Saturday to Sanibel.We love “I love shelling”!!! Can’t wait to see you again on the cruise tomorrow! Love all the pictures; that night heron’s nest is incredible. Thanks so much for sharing Sanibel’s beautiful wildlife. Such a lovely baby’s ear — thanks for letting us see it how it looked when you found it Pam. And the big ole alligator!!! And the gorgeous sunsets. Sanibel really is heavenly. Oh, such wonderful wildlife sightings and photos–I am envious! Georgeous, as usual. Thanks for all you do to bring these scenes to our eyes! Oh Pam, thx so much for sharing. Hope the influx of coyotes don’t cause havac on that beautiful island, animals beware!!! The herons are a thrill to see, how lucky! Keep those pics & stories coming, never ever gets old!! Love to hear the nature tales! Thanks for sharing them with us! Such little miracles everywhere. Can’t wait to return. Wonderful pics! And can’t wait to see everyone’s treasures from the shelling trip tomorrow! My husband and I arrive on June 30 for our first trip to Sanibel. I am beyond excited! I love shells….any and all shells! I have some beauties from Belize and can’t wait to add to my collection. Since I miss Sanibel every minute I am not there, and since it does not appear I will be there anytime in the near future, I so appreciate your postings. Your blog and your pictures are the next best thing to being there and keep me hanging on until the next time I am there! Thanks for all you do Pam!! Pam, We are coming in November and I see the shellabaloo and cruises are scheduled through October. I was wondering if there will be one in November and its just not scheduled yet or if there just wont be one that month. We are coming the week of Thanksgiving. Just two more weeks and I will be there!! I am so excited. Not looking forward to summer temps as I usually visit in October. I do plan on coming back in October also. All that wildlife is incredible! I’d love to see an alligator cross the road while I am safely in a car. I think it was 20-25 years ago I stayed in a condo and was reading the guest book that people had signed. One of them mentioned an alligator in Baileys pond. Well, of course I had to check it out. Lo and Behold, there was a gator about the size of yours in there. We went back the next year and checked again and an alligator was in there again. Couldn’t believe it. I always go check it out when I am there. Haven’t had any sightings recently. Whoops. Don’t know how my comment ended up here…..
Can’t wait to hear about your trip. You will have to let us know how it was for you. Never ever ever ever!!! Ever! ;) LOVE this post! I also wonder how the coyotes got there. Did someone bring them over? We have them in MN, too. My husband and I were snowshoeing in the middle of the woods one winter night and we heard them howling all of a sudden. Cool, but a little spooky. They seemed so close to us!